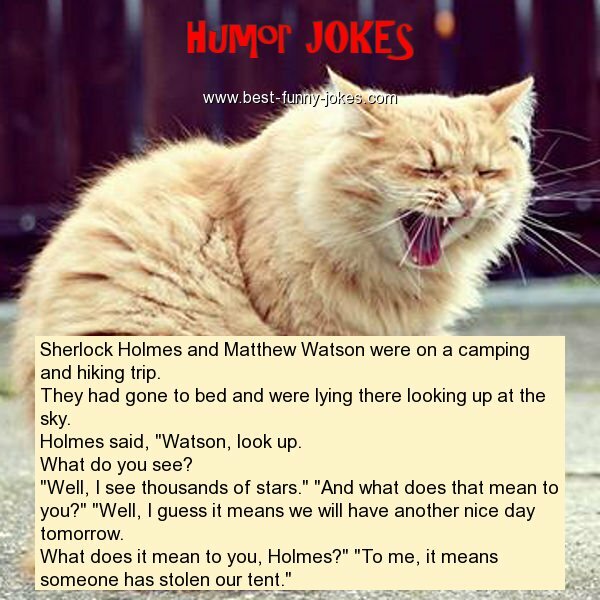 Holmes said, "Watson, look up. "Well, I see thousands of stars." "And what does that mean to you?" "Well, I guess it means we will have another nice day tomorrow. What does it mean to you, Holmes?" "To me, it means someone has stolen our tent."